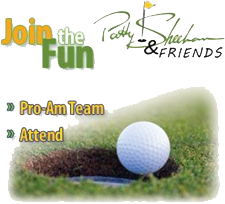 To everyone that helped to make the inaugural Patty Sheehan & Friends, an LPGA Legends Tour event, a success…thank you. The official four-day tournament boasted a field of 40 LPGA Legends. Christa Johnson captured the win with a 139 total shot over the two-day tournament and walked away with a $35,000. 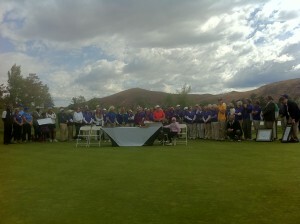 Tournament charities including First Tee of Northern Nevada, Step 2 and CAAW were the big winners with each receiving a check for $5,000. Christa Johnson, now a four-time champion on The Legends Tour, shot a 68 and 71 to finish 5 under par and in solo first place in the 2011 Patty Sheehan & Friends LPGA Legends Tour Tournament. Christa Johnson eagled Hole 16, driving the green and making the putt, to put her at 6 under and just out of reach from the competition. Cindy Rarick shot 70 and birdied the final hole to put her just one back of Christa Johnson and in solo second place. Kathryn Young-Robyn eagled the final hole to vault herself into a tie for third with Alicia Dibos, Cindy Figg-Currier and Cathy Johnston-Forbes. With four birdies on the back nine, Rosie Jones was on fire but ran out of holes. She still managed to crack the top ten with a second round 68, finishing 1 under for the tournament. Patty Sheehan finished one over par, tied for 14thÂ place with Betsy King, Kris Tschetter and Sherri Turner. Rosie Jones and Cindy Figg-Currier carded the only second rounds under 70 with a 69 and 68, respectively. Patty Sheehan birdies the last hole to move within 2 shots of the lead at T6. Battling colder weather and heavy winds that blew in, Christa Johnson birdies Hole 15 and Hole 18 to join Barb Moxness at the top of the leaderboard at 4-under par. Laurie Rinker, who won the first Legends Tour event of the year, the Womenâ€™s Senior National Invitation in Tucson, is T3 and one back of the co-leaders. Cindy Rarick holes out for an eagle on 18 to jump into a 3-way tie for 6thÂ at 2 under. VIDEO HIGHLIGHTS FROM ROUND 1: Highlights from today’s tournament now available. HOLE IN ONE:Â Janice Campbell, 61, from Dayton, Nev. hit the shot of her life today recording an ace on the 161 yard, par 3, 12th hole at Hidden Valley Country Club. She also walks away with a new Mercedes Benz.Â Watch her interview. All total, there are more than 270 LPGA tournament wins and 41 major championship titles. 4 LPGA and World Golf Hall of Famers (Patty Sheehan, Betsy King, Amy Alcott, Pat Bradley) played the inaugural tournament.